How to set a password for my form? There is not built in feature to create a password protected form. 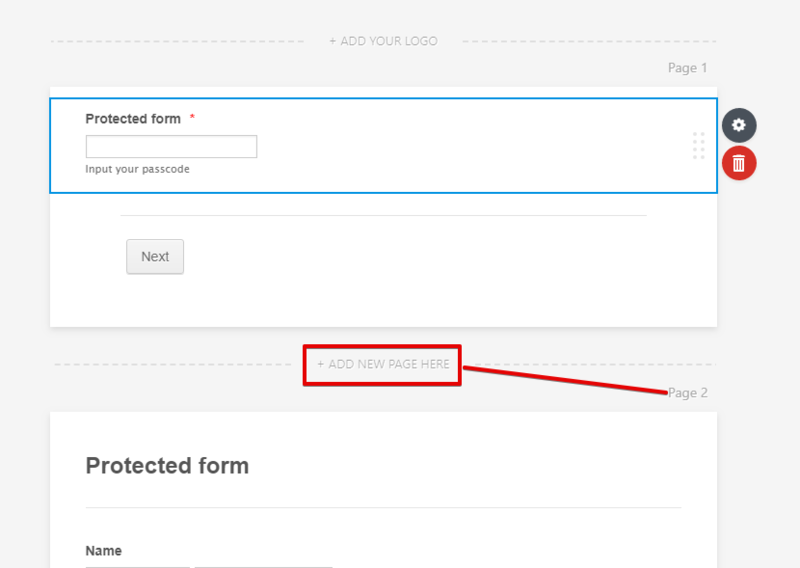 As a workaround, you can use the conditional rule to set a first page to request for password before viewing your forms. 1). Create a 2 page form. 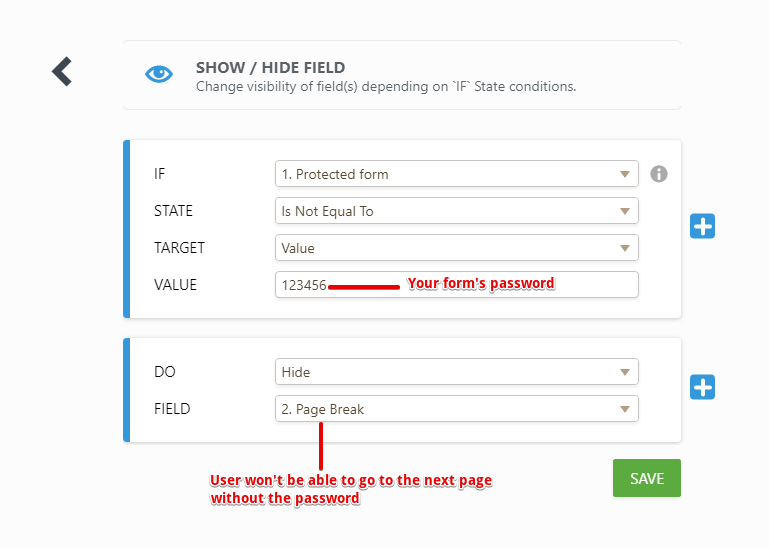 1st page for your password protect form and 2nd page is for your actual form. 2). 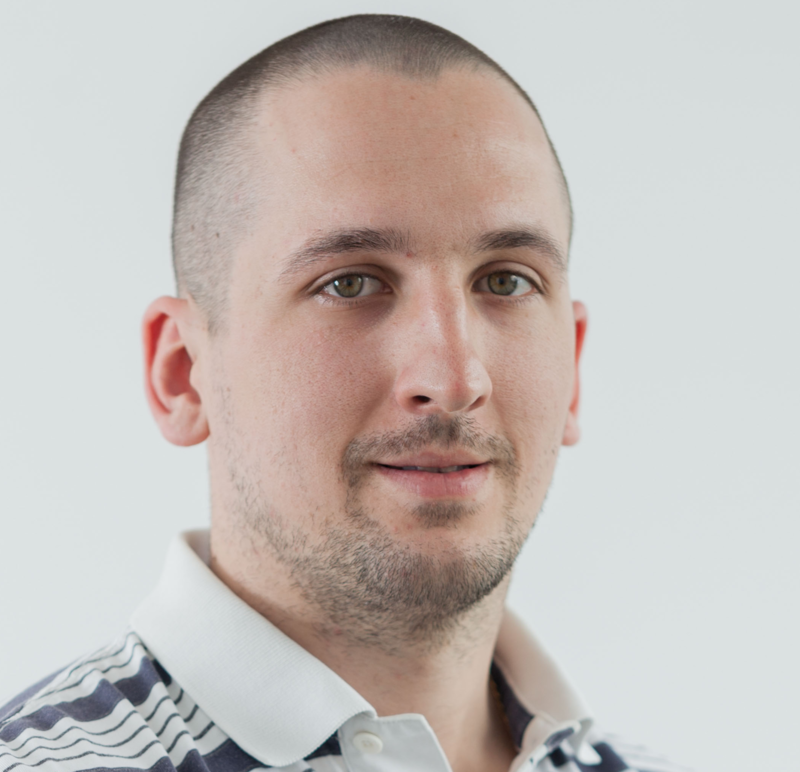 Create a condition that if password does not match your condition your form will be hidden. Here's a sample form https://form.jotform.com/80315722101946. Feel free to clone it so you can see how it's done. I can not find ''Protected Form'' option, how i can add Protected Form area?